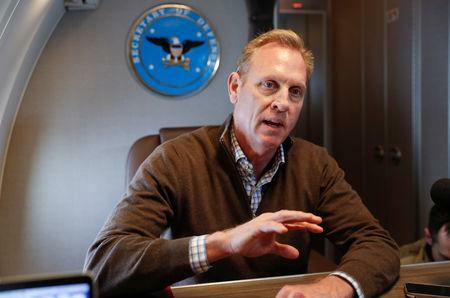 WASHINGTON (Reuters) - Acting Pentagon Chief Patrick Shanahan said on Monday he had provided Congress with a list of projects from the military construction budget that could be cut back in order to help pay for a wall on the border with Mexico. "This list is wholly insufficient and just tells Congress what projects it already approved," said Evan Hollander, a spokesman for Representative Nita Lowey, a Democrat and chairwoman of the House Appropriations Committee. "We know President Trump wants to take money from our national security accounts to pay for his wall, and now we have a list of some of the projects and needed base repairs that could be derailed or put on the chopping block as a result," Senator Jack Reed said in a statement.